Why should I choose a towel rail with a thermostat? 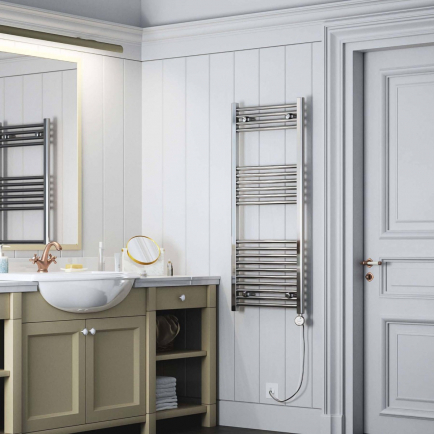 Purchasing a towel rail with a thermostat gives you the freedom to adjust your bathroom heating according to changes in the weather and seasons. So, on a hot day when your towels don’t need any extra help getting dry, you can turn down the surface temperature of your heater and save some energy. Rails with integrated thermostats are very easy to control and can be useful if you’d like your bathroom heating to be more adaptable. Are towel rails with thermostats also programmable? Towel rails with thermostats can be programmed if they also come with a remote programmer. In some models, the thermostat and programmer are rolled into one. If you want a towel rail with a scheduling function, take a look at our Haverland TE700i and Ecostrad TR700i rails, or our Ecostrad Magnum and Haverland XTAL ranges. The other thermostatically controlled towel rails in our TR and TE ranges don’t have this programming facility but they do come with a 2-hour forced timer to limit the use of your towel rail to a set period and minimise energy usage. Can a thermostat help me save money on my bills? Thermostats can definitely save you money on your energy usage if you use your towel rail regularly. A standard towel rail will only have basic on/off controls and will operate at the same temperature for as long as it’s in operation. This isn’t always appropriate when the weather starts to get warmer. For example, if it’s a blazingly hot summer’s day, it’s likely you’re not going to want your towel rail on full blast but you might still want to retain a little background warmth for when the evening draws in. The adjustable heat levels provided by a thermostat let you take control over your energy usage and reduce it during times when you don’t need the full effects of your towel rail. 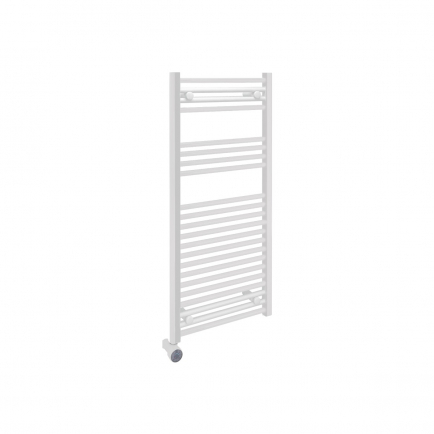 For the energy conscious, a thermostatically controlled electric towel rail is a bathroom essential, providing you with an efficient method of warming both your towels and your bathroom. Heated towel rails fitted with thermostats have been specifically developed to keep the warmth of the towel rail at a consistent level, with precision accuracy that gives you total control over the temperature of your bathroom. The thermostatic towel rails in our range can be easily installed by a qualified electrician and are simple to operate, helping you minimise energy consumption by managing your bathroom heating around your lifestyle.